I am giving back to all you amazing readers and supporters with the chance to WIN fabulous prizes. Check out my GIVEAWAY PAGE to enter and don’t forget Christmas is just around the corner so you could win it for a present for someone else too. Bonus. 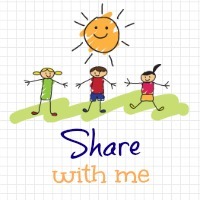 Share With Me Favorite Feature will be back on next week.Thank you. Great to see the linky going strong 🙂 I can see lots of posts I’d like to read! Oh thanks glad you said that it’s been so quiet and slow lately I was thinking of stopping it but glad people still love it. 🙂 Thanks for linking up.